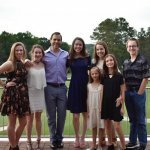 Atlanta Rising Talent Gala Recap! The Atlanta Rising Talent Gala Performance of “Dance Until the World Ends” was a month ago, but we would like to share our top moments of the show with you! 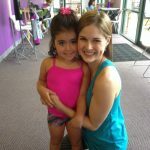 Atlanta Rising Talent is Atlanta Dance Central’s premiere performance company, with performers ranging from ages 5-18. Micro Mini & Mini Company performed Sleeping Beauty Waltz! Throwback! The ART Company perfomed their 2011 Production Forca! 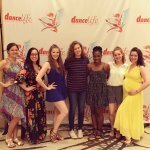 It’s always great to see how much the dancers have grown in their dancing from year to year. The Teen Company performed a jazz dance to Americano! The Juniors “Dance ’til the End of Time” was totally out of this world! Graceful lines were made in the Teen Contemporary dance! The ART Company’s first pointe variation, performed by Haley! If you are interested in auditioning for the ART Company, auditions will be June 25-27 at Atlanta Dance Central. Stayed tuned at www.atlantadancecentral.com for more information!